With the fuel price set to rise this week, here are some tips and tricks to help you survive this hike. 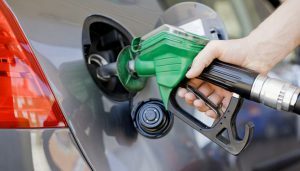 With the petrol price set to go up to R17.01 in the next 24 hours, we have put together some tips and tricks that will not keep some fuel in your car but some money in your pocket as well. Team up and tap out: Joining a lift club is not only a great way to save fuel and reduce wear and tear on your car, it can also be a great stress reliever, giving you the freedom to relax while someone else is driving. As a rule of thumb: the higher the gear, the lower the petrol consumption, so always drive in the highest gear possible, without straining the engine by letting the revs drop too low. Make sure that your vehicle is serviced regularly. Things like worn spark plugs, sticky brakes, low coolant levels, dirty oil, and dirty fuel/air filters all add up to engine inefficiency, which leads to increased fuel consumption. Check for under-inflated tyres as these also increase resistance. Close your car's windows when driving as open windows cause drag. Reduce your car's weight by removing unnecessary items from it (think roof racks). Also, if you mostly do urban driving, consider driving with only half a tank of fuel. Use the air conditioning only when necessary.